To say I am excited is an understatement, but as usual, it’s not just about the trip. It’s about spending real, unplugged time with my family. It’s about connecting and laughing with each other and just being together and building memories. Oscar has been in kindergarten for over 2 months now. Our family made the transition as smoothly as one could hope, but now that we are in our routines I am starting to miss him. Calvin loves preschool and Jerry is faithfully working day after day. I took on more hours with BabyCenter and I am finding my groove too. But with all this routine, we are learning what it means to be intentional in our family relationships. We’re not breaking any ground in the family development department, but we love each other and I can tell that we are all trying to show it. That means something. It’s important. Something as small as hearing I love you can boost me all morning. Calvin is sick with a fever, so he will be home with me on a day that I really need to be super productive, but I am here. I get to be here with him and still work. How amazing is that? When I left the corporate world almost six years ago, I left with the knowledge that one day I would need a job again. I knew that living on one income was worthwhile and that we could do it, but also that my earning potential would one day need to be tapped. Our plan was to wait until Oscar went to kindergarten so even before he was born, I started laying the groundwork with my blog, investing in conferences and doing odd jobs here and there. It was my way to be intentional with my family and keep a toe in the working world. And for the past year, I have been working with BabyCenter, learning new things and contributing to the family income. But more importantly than any money I’ve brought in, was the realization that being intentional works and you don’t always see big results right away. Five years ago, I was writing posts about sleep training and pacifiers. I was reviewing baby carriers and strollers. I had no reason to believe that would translate into a steady job, but I hoped that it would as I continued to build. This is what we are trying to do in our family. Layer upon layer we are building love into our relationships. We are reading books and consciously encouraging each other. We own our wrongs and we forgive. We are in it for the long haul and we want to enjoy the journey. This is where my excitement for this Disney trip comes into play. 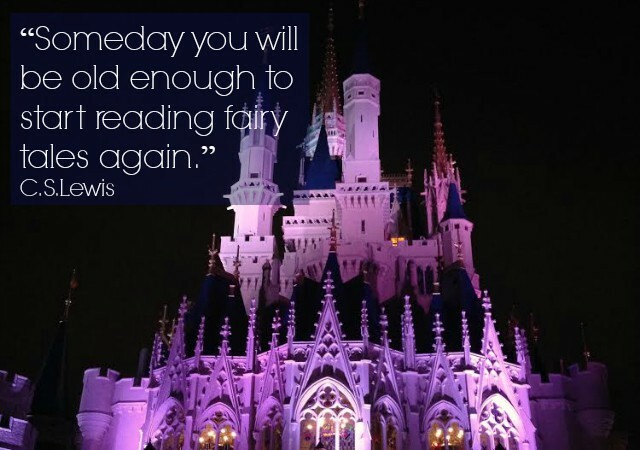 Do we have to visit Disney World to build our family? Absolutely not. But it’s a special time and place for us. We know our kids won’t be small forever and Disney World is huge but safe for us. It gives us the sense of something big and special, while taking the work out of finding things to do. We’ll never see and do everything they have to offer, which makes visiting even that much more fun. As the boys grow and interests change, we hope to travel to some big sites like the Grand Canyon and the Rocky Mountains, New York City and maybe even Europe. But now when they are small, we love watching their eyes light up at the sight of the castle, staying up late and sleeping in the same hotel room. We love having “vacation cereal” (Lucky Charms) and special snacks they don’t get every day. And while we can certainly stay connected on vacation, there is something about Disney that makes you want to walk away from the real world and just enjoy each other. Being intentional is worth it. You will always see results when you start building. 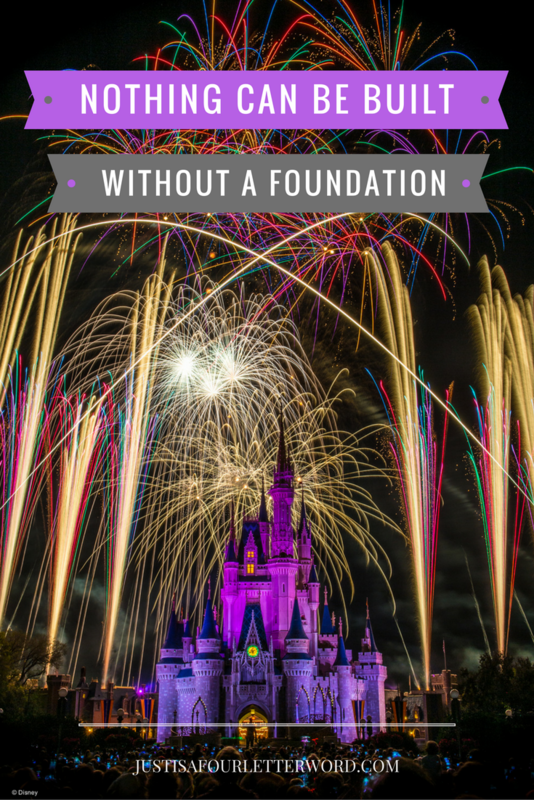 Everything from work to relationships to faith and yes, even family vacation needs a foundation. I am so thankful I get to build something so special with the people I love. I know it will be worth it. If I would have guessed 8 years ago when I started this “mom” thing, I never would have pictured myself here. And, it’s just perfect and the way it should be. I love that we have this space to have our own thing and to support the family, too. And, I love that it allows us to live intentionally and make experiences out of everything.